After living in Pennsylvania, Germany, Virginia, New Mexico, Boston, D.C., Tokyo, traveling for a year and finally moving to the Summit County in 2005, this is the longest I have lived anywhere. Part of the goal in moving to the mountains was to grow roots and become part of a community. I feel like I am finally "home" and I plan to be a part of this community for the rest of my life. 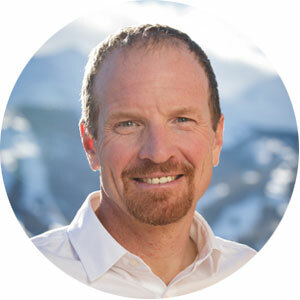 I bring a vast and diverse background to my real estate practice in Summit County. After graduating with a degree in Economics from the University of Virginia, I served in the Air Force for 5 years, earning my MBA at night. I then spent 6 years doing Business Development in Northern Virginia, Tokyo, Japan and Seattle, Washington for UUNET, the first commercial internet service provider, expanding operations into South America and Asia. In Seattle, I focused on growing business within several FORTUNE 500 global accounts. After taking a year off to travel and learn how to make wine, my wife, Barb and I decided to shorten our commute to the mountains and moved to Summit County in order to spend more time around mountains, snow and family. I have sold real estate in the mountains for the past decade and have been a part of and led a team that has been involved in over 700 transactions in that time. In launching our own company back in 2009, we have focused on growing our business one great relationship at a time. My agenda is to help you achieve your goals and to achieve outstanding results for you through phenomenal marketing. In addition to marketing, my expertise involves getting large groups of people (Buyers, Sellers, other brokers, lenders, appraisers, inspectors, etc...), often with different agendas, working towards and achieving a common goal. In addition to residential sales, I have been fortunate to have spent 2014-2019 launching and selling out the Alders at Keystone, an 89 unit, $70 Million project. I am passionate about teamwork, leadership, positive energy and mindset. Giving back to this community that I call home is also a passion of mine. We proudly support the Summit Foundation, Breckenridge Outdoor Education Center, Summit Youth Hockey, and other local charities. I am thankful to be the Chair of the Breckenridge Events Committee since 2018, Chair of the Isak Heartstone Troll Committee, a member of the Summit County Open Space Advisory Council since February 2013 and Vice Chair since 2019, and a member of the governor appointed 5th Judicial District Nominating Commission since 2016. When not working, I am a big fan of long mountain bike rides in the Golden Horseshoe, ski touring from the Laurium, playing hockey and lingering at the Grace. Thank you to all the previous clients that have helped us get to where we are today. Hopefully, you are part of our success in the future. My team and I look forward to helping you achieve your real estate goals in the mountains! "First class and first rate service! We bought a vacation home in the Alders May 2015 through Todd. He represented both sides of our transaction with the utmost integrity. Though we live in Maryland, Todd made our long-distance transaction seamless. -Zillow Review, 2015"
"Todd is a superb real estate professional. He represented us when we bought our beautiful home in Wildernest a few years back. From identifying potential properties though the closing--he teamed with us, drove the deal towards completion and was a true pleasure to work with throughout! - Dan, Facebook Review, 2016"